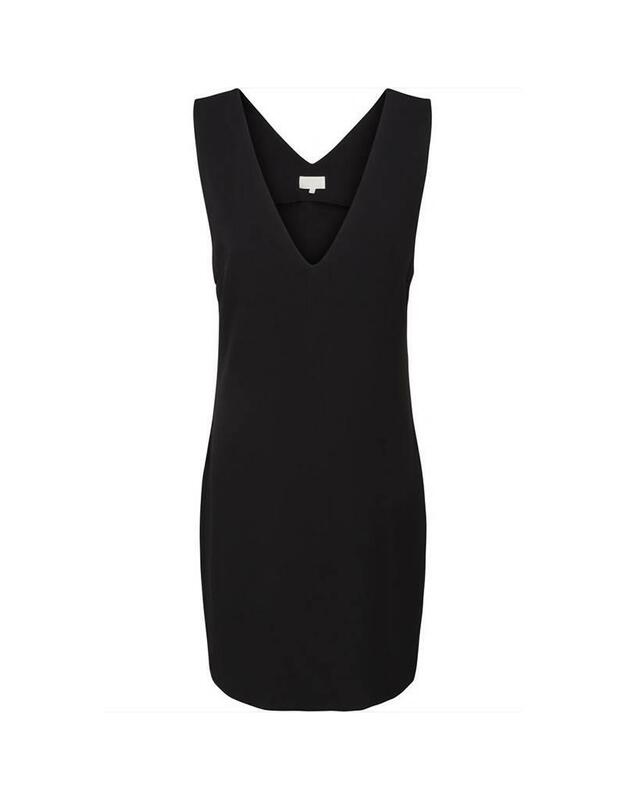 Harlen dress from Minus is a stretchy dress v-neckline in front and back. Wear this dress with a flared blouse or a shirt underneath. Length of dress is 99 cm for a size 38.